Our borrowers like that Liberty is simple to use. It is easy to access the catalogue directly from the Lamm Jewish Library website and see what is available. Located in the Melbourne suburb of Caulfield South, the Lamm Jewish Library of Australia(LJLA) is a vibrant hub for communal educational and cultural activity. 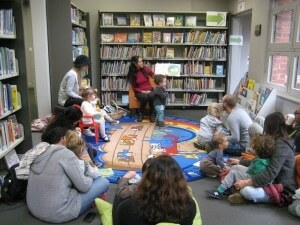 The library manages a busy calendar of activities, including the Write Your Story program. Facilitated by author Adele Hulse, the program has published 130 autobiographies and anthologies since it began in 1998. Another major initiative of LJLA is the bi-annual Melbourne Jewish Writers Festival. The 2016 Festival was held over two and a half days with more than 64 sessions and over 800 people in attendance. In 2015 LJLA, along with Zionism Victoria, was chosen by the Anne Frank Australia Foundation to host the travelling exhibition, Anne Frank: Let me be myself: the story of Anne Frank, which saw over 1,000 visitors over the six-week exhibition. The library also hosts regular activities including a film club (screening films from the Steven Spielberg Film Archives with guest speakers every two months), a weekly movement activity session for toddlers, a monthly book club, Hebrew classes run by Habayit, the home of Hebrew and Israeli culture, kosher cooking in the Kook Kitchen and a daily shiur for anyone seeking spiritual growth. In 2012 LJLA’s Director, Leonie Fleiszig selected Softlink’s Liberty as its library management system. Leonie said that Liberty’s support services were a key consideration when it came to choosing a management system for a small library with a busy events calendar. I liked the idea that there was always someone at the end of the phone or email to answer any problems I might have, even after hours. The special library’s collection includes books, magazines and newspapers, CDs, CD-ROMs and DVDs. Leonie said that LJLA has also been able to add a selection of eBooks to the catalogue, following a generous donation from the Naomi and Samuel Stopnik Fund. Our DVDs are very popular. Most borrowers still prefer to read hard copies but slowly people are looking at our eBook collection. 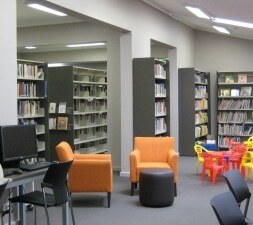 In addition to managing its own catalogue, LJLA uses Liberty to manage the offsite collections of other Jewish libraries, cultural societies and support groups in Melbourne including the Jewish Holocaust Centre, the Jewish Cultural Centre and National Library (Kadimah), Kew Hebrew Congregation, St Kilda Hebrew Congregation and the North Eastern Jewish Centre. Parts of the collections from the Jewish Museum, Kadimah and the Holocaust Museum are also housed at, and managed by LJLA. general public, with the Hebrew collection attracting people from all over Victoria. However, Leonie points out that Liberty makes it easy for anyone interested in LJLA’s Judaic resources to connect with the library. To encourage further patronage, LJLA’s Liberty homepage includes a form for online visitors to register for access as a new borrower. Liberty’s powerful yet easy to understand features have also helped the library to simplify administration tasks. With over fifty volunteers helping the few LJLA staff, Leonie said it was important that Liberty’s tools could be quickly learned by people who don’t have a library background. My favourite feature is Z-cataloguing. As we have very few staff, we have trained our volunteers to use it. Once they have downloaded the entry, the librarians can then modify it to suit our requirements. To further alleviate the time pressure on her library team, Leonie opted to have the LJLA’s Liberty system hosted by Softlink. As we are a small library, working with people who have limited computer skills, it is comforting to know that Liberty backs up everything offsite and handles all updates and the problems that might arise.  Softlink’s Liberty cloud hosting service has meant that the library management system is completely managed by Softlink’s technical services team, who are responsible for all ongoing monitoring and maintenance requirements, including regular updates to the system.